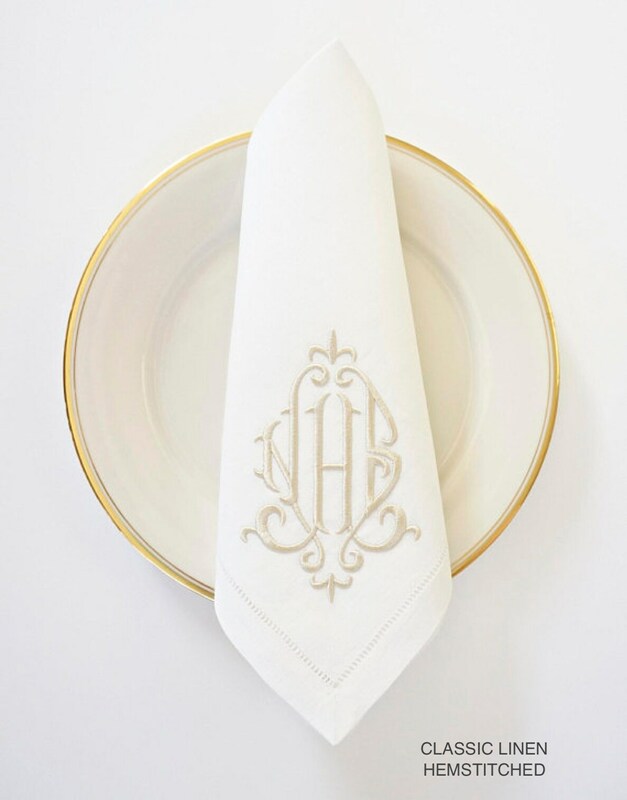 Monogrammed napkins for special occasions or everyday use. They are a wonderful keepsake of your wedding or other special events and can be used for future holidays, anniversaries and entertaining. They also make great housewarming or hostess gifts. The large linen towel is cream colored natural linen. 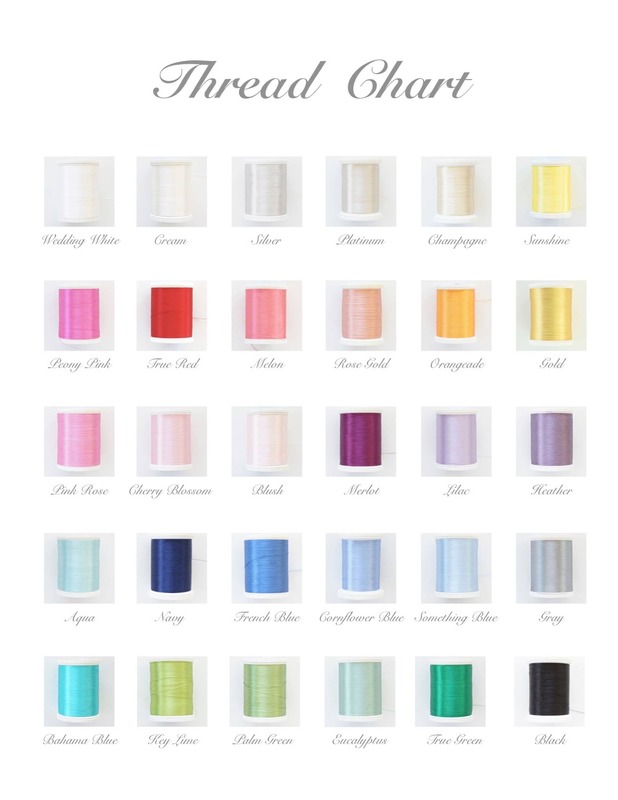 Select the cream thread color to match the towel. 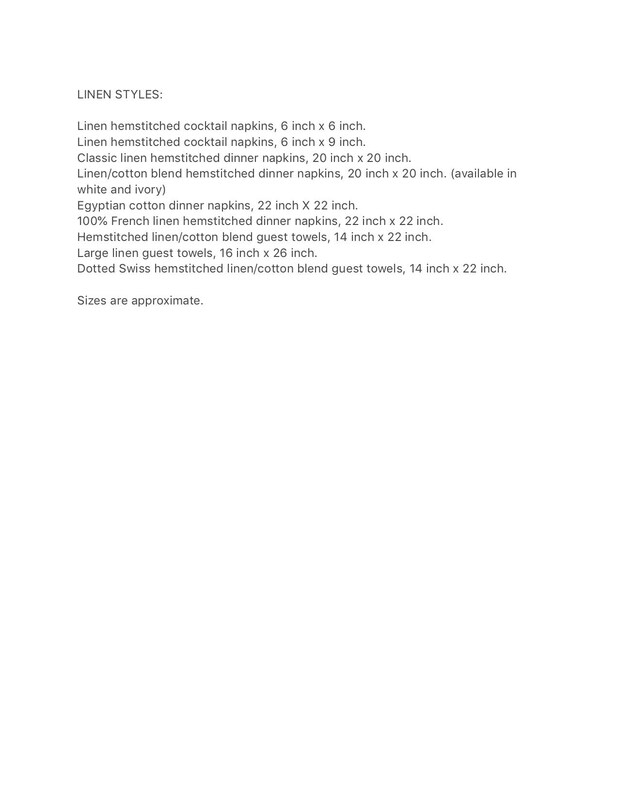 Please select your linen purchase carefully. Personalized or customized items cannot be returned or refunded. Please email to request help with an order. Machine wash in cold water. Bleaching agents may cause thread discoloration. Proofs are limited to custom orders or larger quantity orders unless requested by buyer. 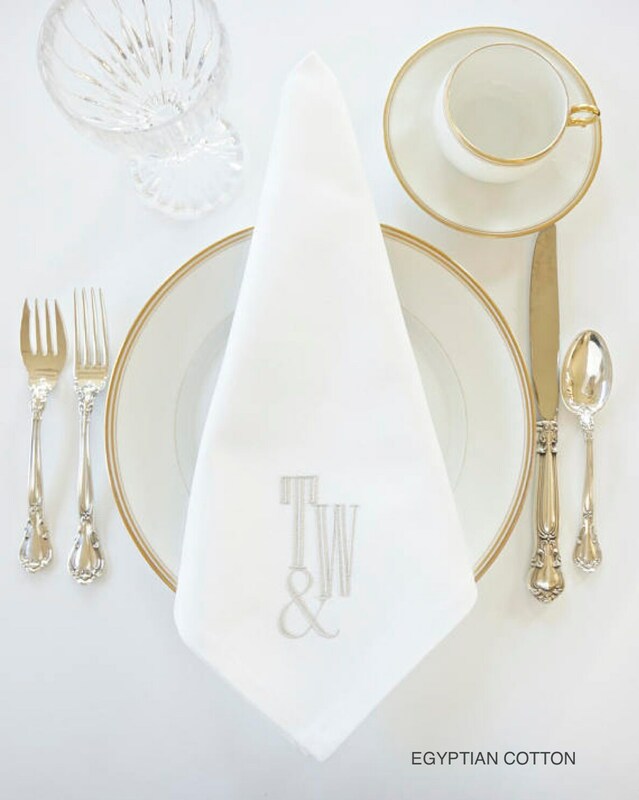 IF YOUR ORDER REQUIRES EXTENSIVE CUSTOMIZATION, custom monograms, complex designs, etc., please place an order on the Custom Order listing for handkerchiefs, dinner napkins, cocktail napkins or towels. 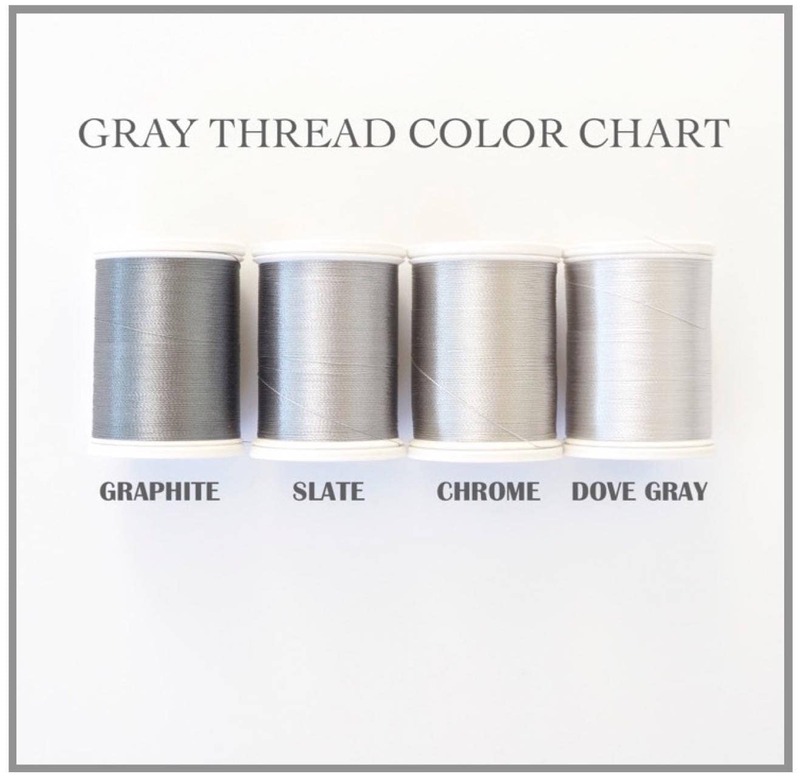 Donovan Design is not responsible for variations in the appearance of thread colors on internet device screens. No sales to the State of Arizona. I may, at my discretion, photograph and display an item purchased by a customer in a listing on my Etsy website. 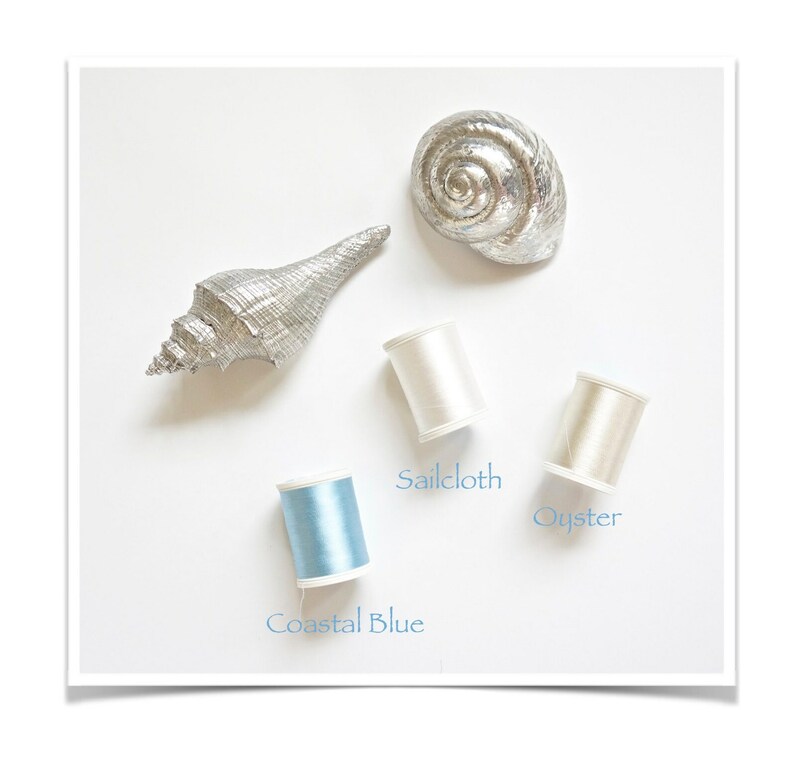 There may be some variations in the designs and thread colors shown in the photos from the actual embroidered linens. 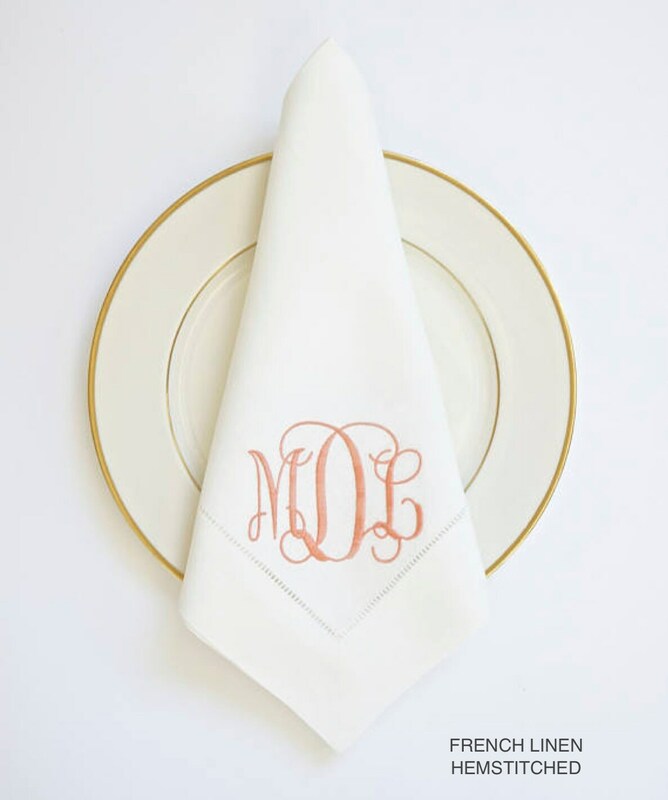 Please specify the location of all monograms; otherwise I will select the location. 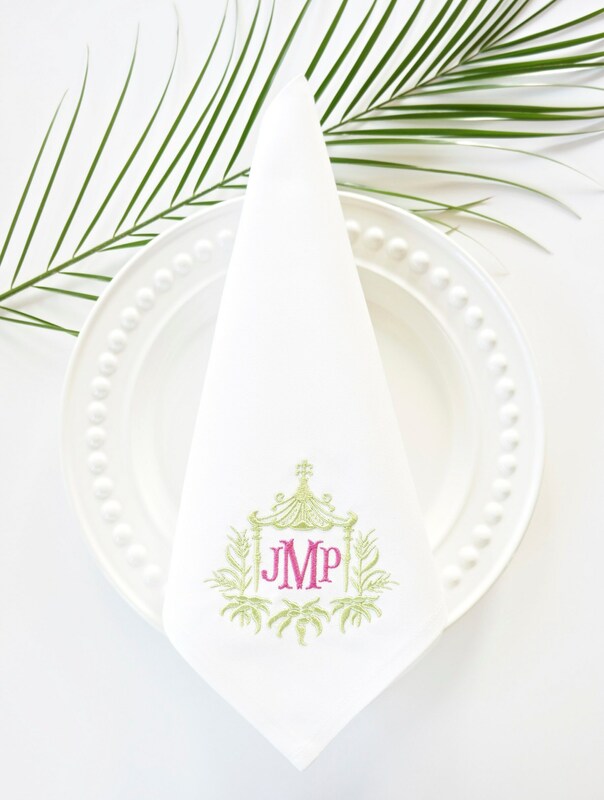 If the buyer does not indicate a monogram location, then I will place the monogram in the corner of most linens with the exception of towels. 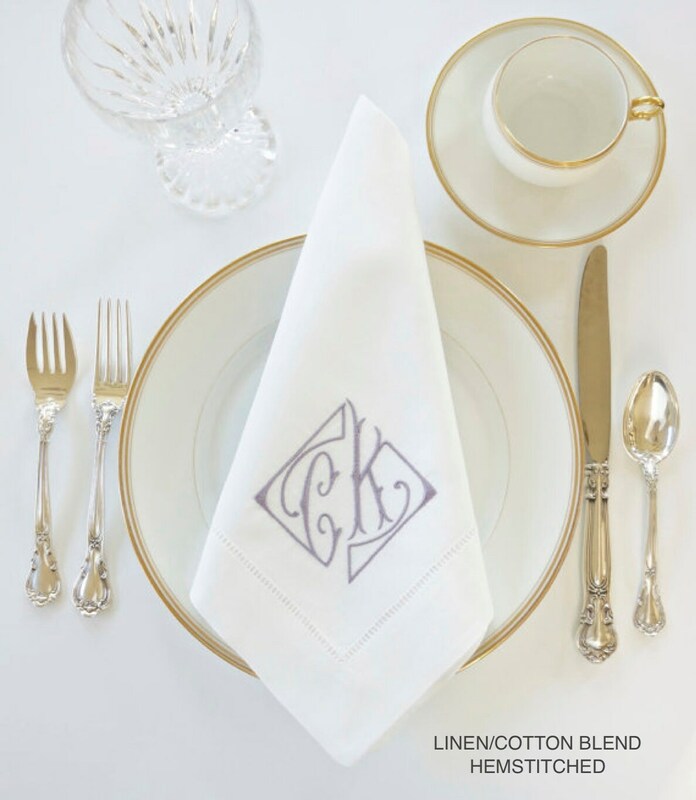 The listing photos are only examples and do not represent the location of the monogram purchased. First Class Mail is not insured, therefore, I cannot be responsible for shipment loss or damage. Priority Mail and Fedex is insured. Please contact me ASAP if your order is not delivered when expected or is damaged so that a claim can be started. If a claim is made, please follow up with the necessary documentation for the claim.